A careful look at this colorful cosmic snapshot reveals a surprising number of galaxies both near and far toward the constellation Ursa Major. The most striking is NGC 3718, the warped spiral galaxy near picture center. 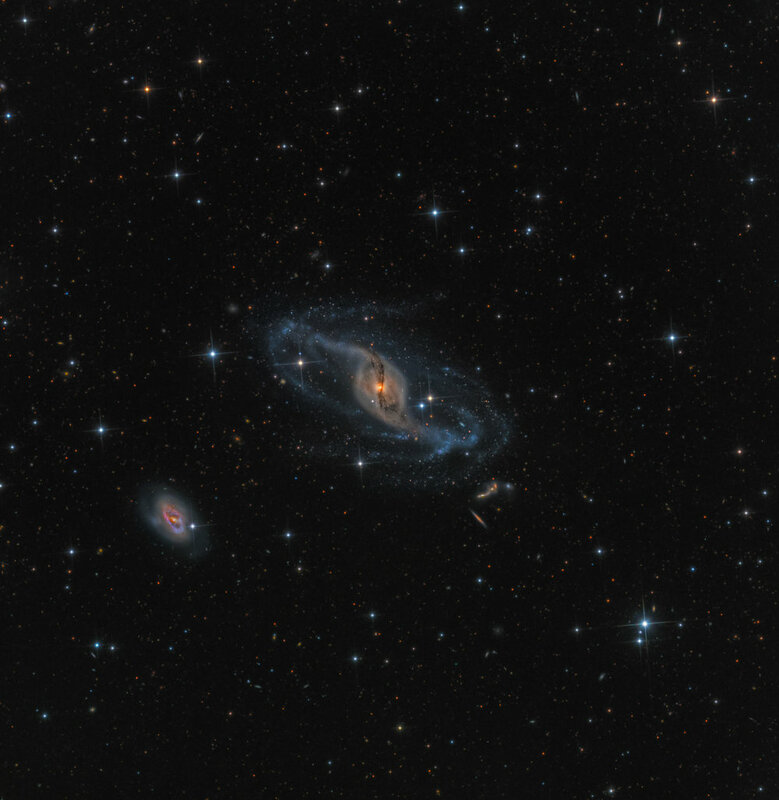 NGC 3718's spiral arms look twisted and extended, mottled with young blue star clusters. Drawn out dust lanes obscure its yellowish central regions. A mere 150 thousand light-years to the right is another large spiral galaxy, NGC 3729. The two are likely interacting gravitationally, accounting for the peculiar appearance of NGC 3718. While this galaxy pair lies about 52 million light-years away, the remarkable Hickson Group 56 can also be seen clustered above NGC 3718, near the top of the frame. Hickson Group 56 consists of five interacting galaxies and lies over 400 million light-years away. There are over 5000 galaxies in this image down to 24th magnitude. Calibrated, combined in CCD Stack all other processing done using CC and PixInsight.